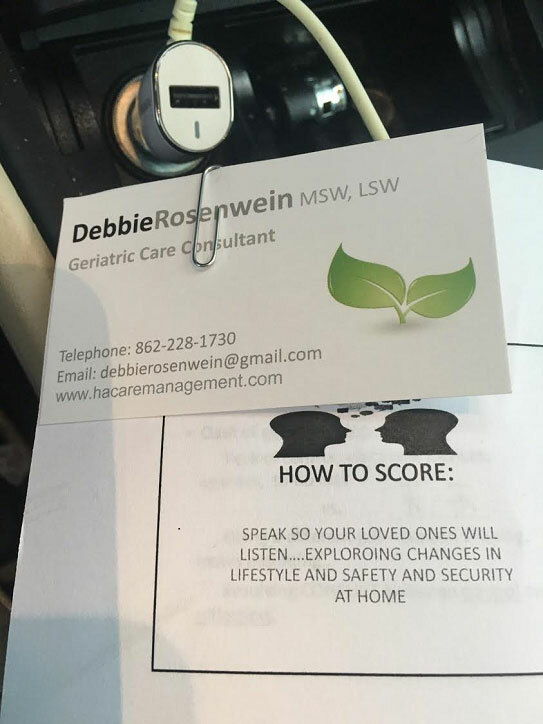 Yesterday Christina and Mary attended an event at Spring Meadows in Summit to hear Debbie Rosenwein speak about how to properly speak to loved ones. BrightStar Home Care of Westfield and Summit proudly provides Home Care and Support for Seniors, including 24 hour in home care, and support in independent and assisted living communities. We provide all levels of home care from Companion Care Services to Skilled Nursing. Medical Staffing, Home care, In-Home Skilled Nursing, In-Home Physical Therapy for Pediatric, Adult and Geriatric Patients, and Companion and Personal Care for Elders with Alzheimer’s or Dementia. We also provide Home Child Care, Sitter and Nanny services for Children and Support for New Mothers. We Support Veterans as a partner of the VA/Veterans administration provider network and area a Home Care Provider for U.S. Department of Labor, Division of Energy Employees Occupational Illness Compensation. We Accept most Long Term Care Insurance benefits, provide Hospice care, Live-in care, CNA, Caregiver, RN, LPN, RN Supervision, Compassionate Care, and Compatibility Guarantees. We are an ALS Society partner, Alzheimer Association member, providing care for developmentally disabled and individuals of all ages with mental health and behavioral health diagnosis. Other services inlcude safe discharge and transportation from the hospital or rehab facility, Post Op care both short and long term, Pre Operation and preparation help and assistance, client monitoring for out of town family members. Our service area covers Fanwood, Linden, Winfield, Plainfield, North Plainfield, Rahway, Clark, Scotch Plains, Westfield, Mountainside, Berkeley Heights, New Providence Cranford, Garwood, Kenilworth, Springfield, Union, Vauxhall, Elizabeth, Roselle, Roselle Park, Hillside, Elizabeth, Summit in Union County, NJ. 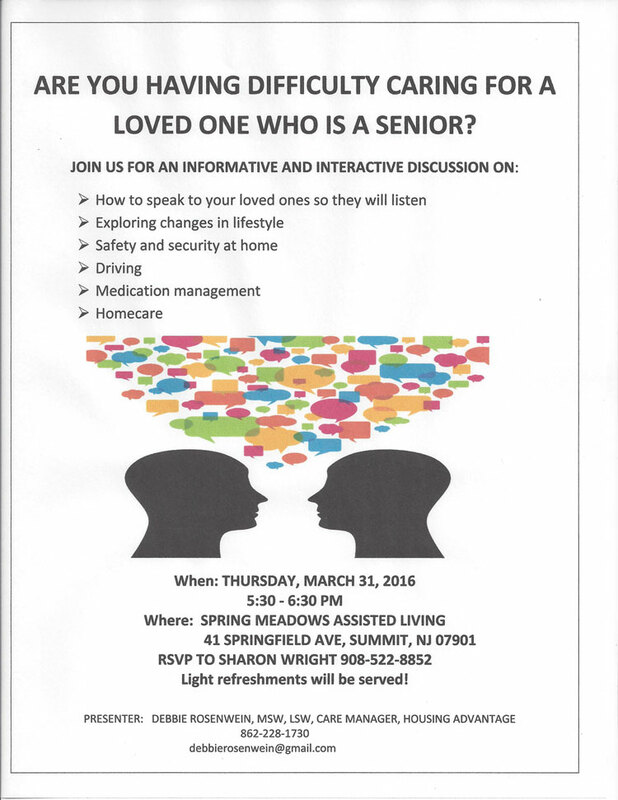 Memory Loss Event was a success!